The Warhammer franchise has long been known for its, violent yet graphically stunning real time strategy and first person shooter genres. 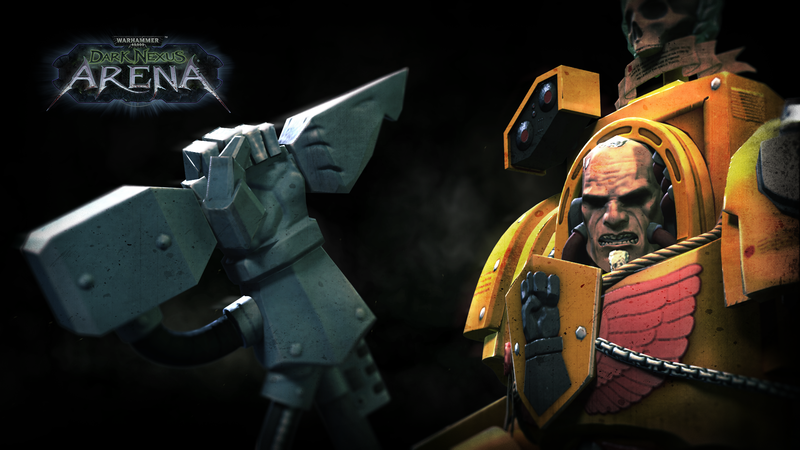 The franchise exploded with the release of Warhammer 40k in 2008. Each faction wielded units drastically different from the other and offered players a unique experience unlike any other. Regrettably, developers began to look towards other titles to captivate the minds of gamers. The long forgotten Warhammer series slowly dwindled and became dwarfed by other games such as StarCraft. Orks, Eldar and Space Marines were forced to watch in dismay as their machine gun barrels cooled and rocket launchers rusted. Fortunately, developers have heard our pleas. 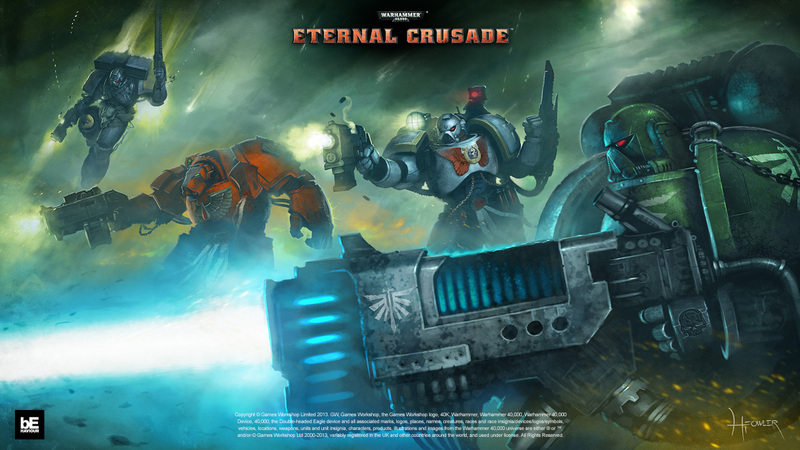 They have once again ignited the furnaces of war and begun to develop new graphically exciting Warhammer games that are sure to bring veterans out of retirement. These titles range from chess simulated arena matches to space based battles. 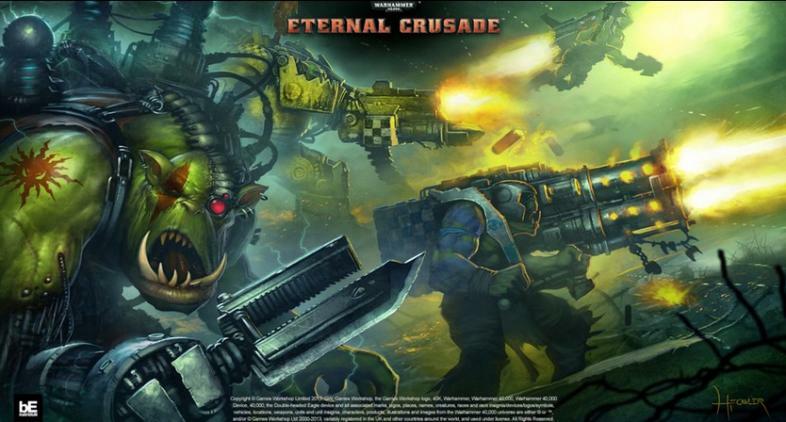 Regardless of your preference, 2015 will be an exciting year for Warhammer. With that being said, join me as we take a look at the most promising Warhammer titles planned for 2015. 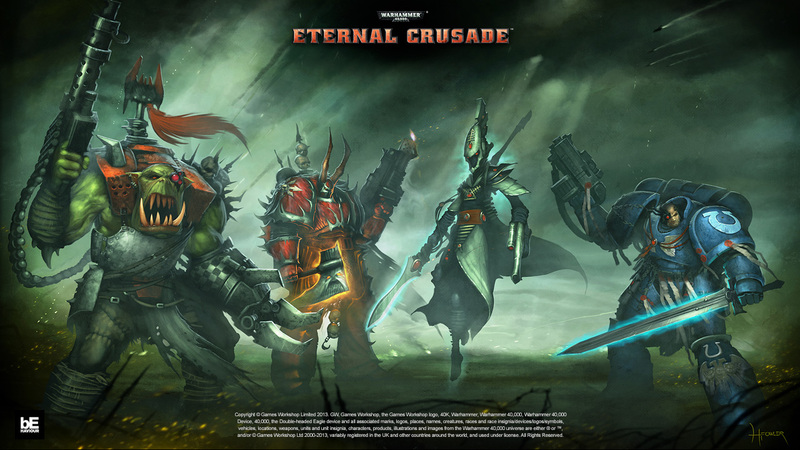 The first game on our list to look out for in 2015 is Warhammer 40,000 the Eternal Crusade. This game will be an action packed third person shooter massively multiplayer game originally containing the orc, eldar, space marine and chaos space marine factions. 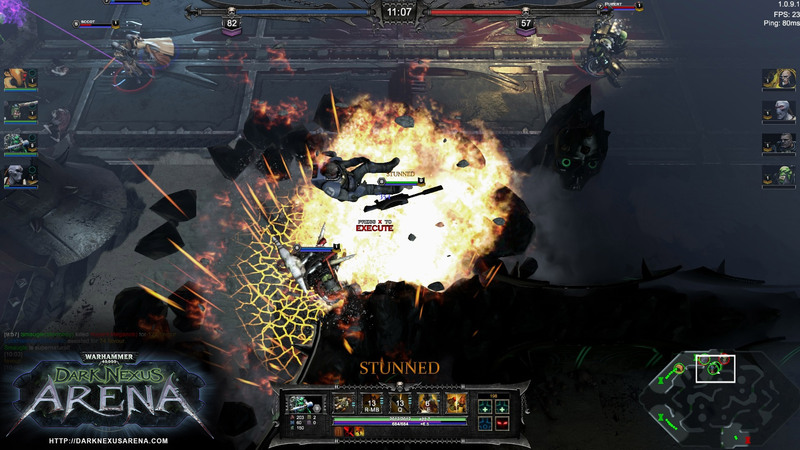 From initial appearance (Eternal Crusade) the game displays easy controls with buttons dedicated to firing, dodging and multiple weapon shifts. Using a close combat weapon such as an axe, power glove or ancient hammer exhibit a few methods to help your opponent reach an early grave. Victory is based on cooperative team play along with achieving objectives to cripple your foe. Although the game does appear to offer rewards for single feats of god like indomitable valor, the overall game can only be won by bringing down the opposing faction through collaborative tasks. The minimum system requirements are a core i5 process or higher, along with 8GB of ddr3 ram and an NVidia GTX 660 graphics card or equivalent. Currently the game is scheduled for release in fall of 2015. This leaves plenty of time to plan exactly how you will gruesomely destroy your foe. I got my pig, LETS DO THIS! 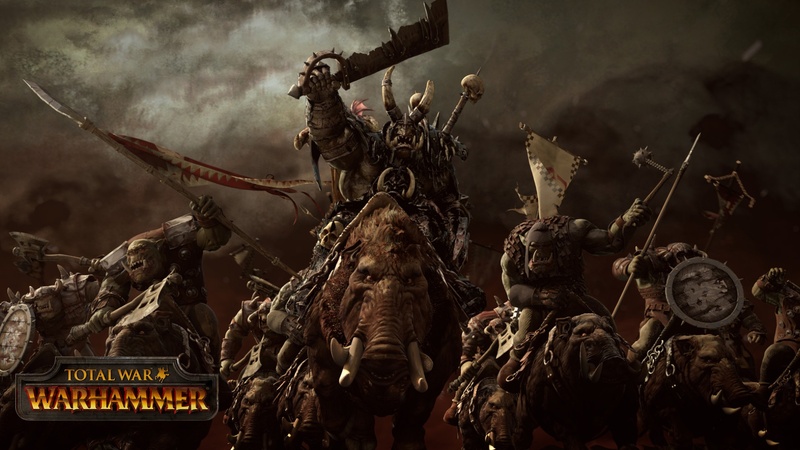 Shifting from the Warhammer 40k universe and stepping into the Warhammer (notice the exclusion of the number 40,000) universe we have the announcement of the newest entry to the total war series. If you recall, the total war series began in 2000 with the shogun series and has successfully continued ever since. Unlike its futuristic brethren Warhammer 40k, Warhammer total war is the first total war series to take place in a fantasy based world. Magical beings, mystical dwellings and of course our favorite green skinned maniacs were all pictured in the release trailer (Warhammer Total War). 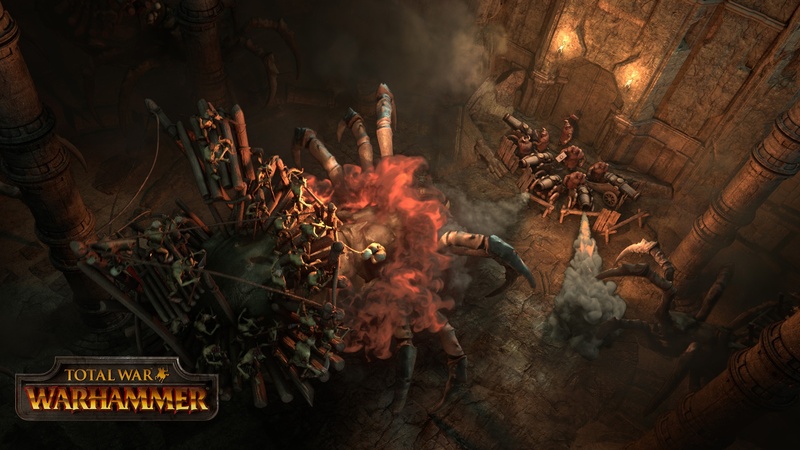 The trailer also displayed goblins riding their trusty giant spiders, demons, vampires and dwarves. Similarly to the other instalments in the total war series, Total War Warhammer will pit vast armies against one another with units varying from sword wielding soldiers to griffin riding emperors. Clashing such colossus armies in death matches where winner takes all is always exhilarating and will finally be portrayed in a fantasy setting. Although un-confirmed, controls will likely mimic those seen in the other total war series along with objectives varying from constructing building and establishing a strong economy/allies. Total war Warhammer has yet to set a release date but keep your fingers crossed that ensuing carnage will take place later this year. 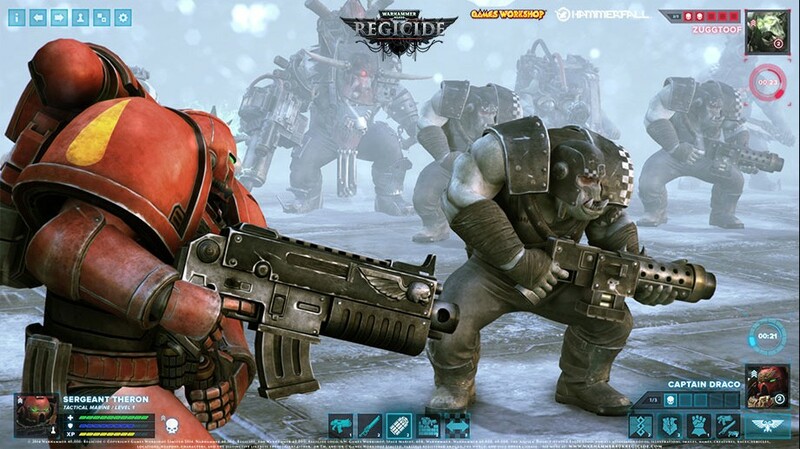 Returning to the futuristic world of Warhammer 40,000 we now arrive at the upcoming Warhammer 40,000 Regicide instalment. 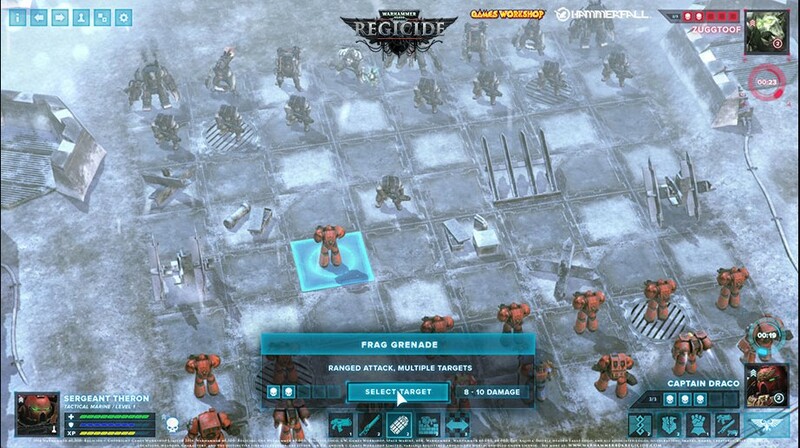 This game literally takes one of the most classic strategy games of all time and employs a very unique spin that only the Warhammer 40,000 universe could offer. 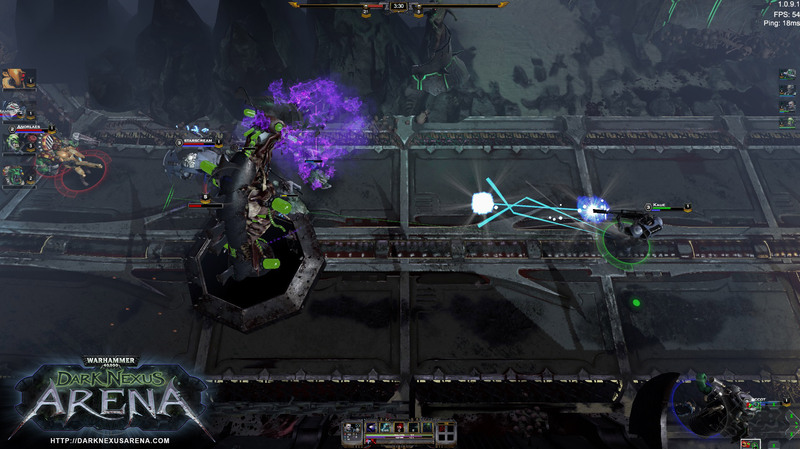 Similarly to chest, the game incorporates turn based strategy, unique pieces with different movement capabilities and similar checkmate objectives (Regicide). You may be thinking what’s so amazing about chess with Warhammer 40,000 units as substitutions for the regular pieces? I would agree that normally this would not be very interesting, but, I have yet to mention the best part. Accompanying the regular movement and positioning strategy, players must constantly check their unit's wounds, armor, XP and rank. That’s right. Each unit levels up, making them much more potent. Units employ not only their movement based dominance, but also employ machine guns, grenades, and chain swords to dispatch there foe. These added options allow players to destroy characters non adjacent to the current unit selected. The implementation of such tactical options provides an extraordinary 3rd dimension of gameplay previously unseen in the classic game of chess. I can only imagine the pleasure from initiating a pawn to queen 3 command with a hint of chain sword or if she’s lucky heavy bolter to the face. This game is currently set to release in quarter two of 2015. While we anxiously wait, feel free to formulate the several different ways to tell your opponent his king in check or better yet, at risk of being decapitated. Finally, developers have decided to release a MOBA (Multiplayer Online Battle Arena) game that may be capable of overpowering both DOTA and League of Legends (kidding). Gamers unfamiliar with this gameplay format need not worry; most MOBA based games are fairly easy to pick up but extremely difficult to master. Comparable to its Defense of the Ancients ancestor, Warhammer 40,000 dark nexus arena seems to employ the three lane tower based hero supported by minion’s gameplay. Heroes level by destroying minions, towers and opposing players. Upon leveling, players can select unique skills ultimately leading to one final extremely powerful skill only available every few minutes. The gameplay trailer (Dark Nexus Arena) exhibits four (Stormboy, Fire warrior, Meganob and Assault Terminator) playable classes. Unlike its previously mentioned predecessors, the goals of the game are similar to that of a deathmatch. Each team seeks to achieve victory by acquiring 100 points. Players receive points by destroying NPC’s and of course other players. Also, this game will employ a WASD movement mechanic which is drastically different from the typical click and movement gameplay of DOTA and league of legends. Abilities may be predominately skill shot based forgoing the common click to kill mechanic. This amazing skill based MOBA is set to release in Q2 of 2015 and with it will hopefully usher in a new standard for MOBA based gameplay. Veering away from the planet side based gameplay; Battle fleet Gothic Armada turns its attention to the stars (Gothic Armada). Although rarely mentioned or considered, every planet conquered by the warring factions in the game are only obtainable as a result of interstellar travel. The ground units commonly used throughout the various Warhammer 40,000 games must have disembarked from some vessel right? 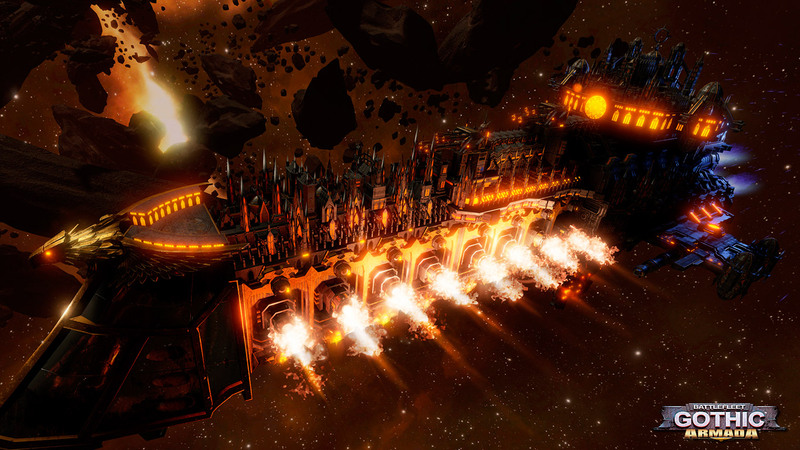 Battle Fleet Gothic Armada takes into account this overlooked aspect of the Warhammer 40,000 universe. The hulking spacecraft armed to the teeth with various rockets, lasers and machine guns must have also had a serious battle before reaching their intended destination. Battlecruisers, cruisers and battleships will all likely be viable options for incinerating any foe bold enough to oppose your armada. Unfortunately the game will likely be turn based rather than first person. Players will be forced to strategically attack with the ships under their command rather than rambunctiously going guns a blazing into a battle hoping to hit the nearest target. Ships under your command can make severe changes to the functionality of their ships in order to increase desired affects. 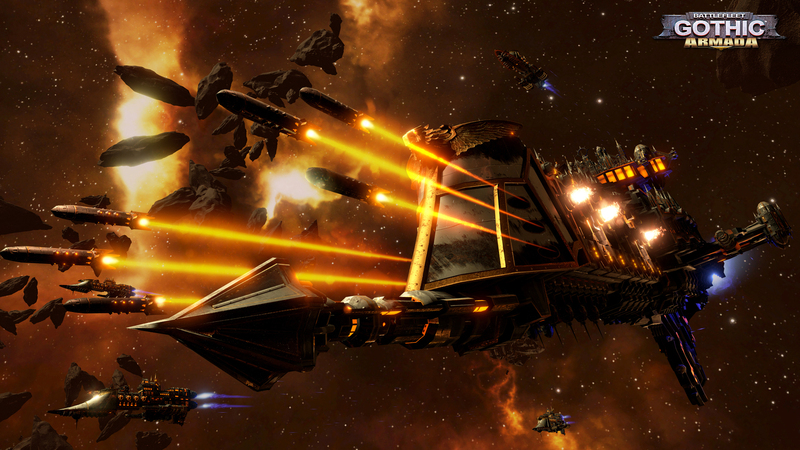 For example, players seeking to increase maneuverability can order crews to increase power to the engines at the cost of decreased damage or shield output. Every action will likely have an opposite reaction thus causing an advanced cascade of reactions to occur resulting in a highly rewarding battle experience. 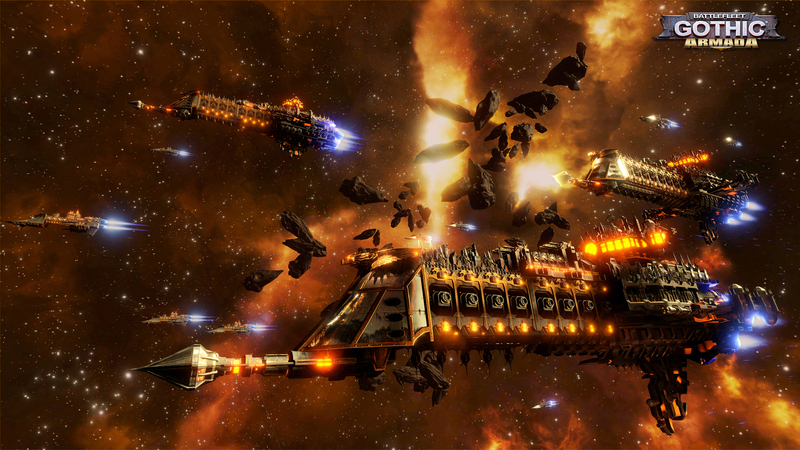 Currently, Battle fleet Gothic Armada does not have a release date but will likely announce one later this year. Weather turn based strategy, MOBA or intergalactic duels are your forte, the Warhammer series certainly has an upcoming game that every fan can appreciate. Each game mentioned tailors to a very specific type of gamer in order to provide all players with a suitable gameplay style. If any of the mentioned Warhammer games peak your interests, feel free to leave a comment below. Surely there has to be other gamers as enthusiastic and excited about the upcoming Warhammer games as I am. If you trully are a warhammer fan, feel free to enjoy these other warhammer articles. They will only fuel the gaming fire burning within. 10 things we love about Warhammer and 10 things we love about the warhammer univerese. Hell of a Warhammer fan.Completed it three times just for watching it again.Looking forward to the latest edition.